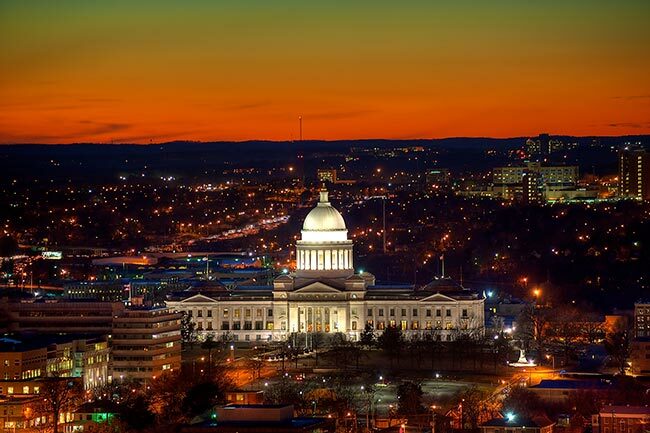 With a metropolitan population exceeding 700,000, Little Rock is the largest city in Arkansas as well as the state capitol. The town has established itself as a center of advanced industries, ranging from aviation to agriculture to healthcare. As Little Rock continues to grow, it must create the logistics systems necessary to supply all businesses that move to it. ExpeditedFreight.com helps the city keep up with its logistical needs, providing incoming and outgoing shipping services for all local firms. Not only is Little Rock already home to a range of advanced and profitable industries, but it continues attracting new ones on a regular basis. Arkansas’s recent bid to get Toyota and Mazda to build a joint plant at a megasite in the Little Rock area is a powerful case in point. The town is well aware of new business opportunities that could revolutionize its economy, and is always trying to bring them in. To make Little Rock attractive to Toyota, Mazda, and companies like them, local residents and businesses must provide quality logistics. Automotive manufacturers need parts and tools delivered to them on tight schedules, and those parts cannot be damaged while they are on the way. To meet this need, expedited shipping companies have to provide the highest standards of speed and safety for every order. ExpeditedFreight.com is committed to just such high standards, upholding them for each of our clients. 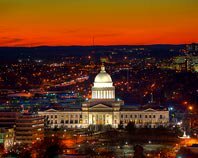 As an express trucking company with broad industry experience, we ship into and out of Little Rock on any schedule our clients set. We also serve the surrounding suburbs and satellite towns, including Hot Springs, Benton, Fort Smith, and Pine Bluff. Team Transportation - When we send out an express freight vehicle, we assign two drivers to operate it, mandating that they share the workload evenly. This way, they can keep the vehicle running day and night, yet each will have a chance to rest. This improves both speed and safety. Dedicated Driving - No matter the size of your payload, we will reserve a vehicle to carry it and nothing else. This means we won’t have to visit other clients’ destinations before we make it to yours. Likewise, we’ll be able to load any specialized equipment necessary to store your items safely. Planning & Tracking - We plan your delivery route carefully beforehand, and then track your dedicated vehicle while it is on the way. We look ahead for obstacles and other sources of delay, steering our vehicles around them and keeping them on track for a timely delivery. Customer Support - ExpeditedFreight.com offers a customer support center that is open 24 hours a day, 7 days a week. You’re free to call this center at any time for information on your current order’s position, or to get a free quote on future orders. ExpeditedFreight.com operates across the United States and Canada, linking Little Rock’s economy to all others. For more information, visit our website today or call (314) 269-1222.